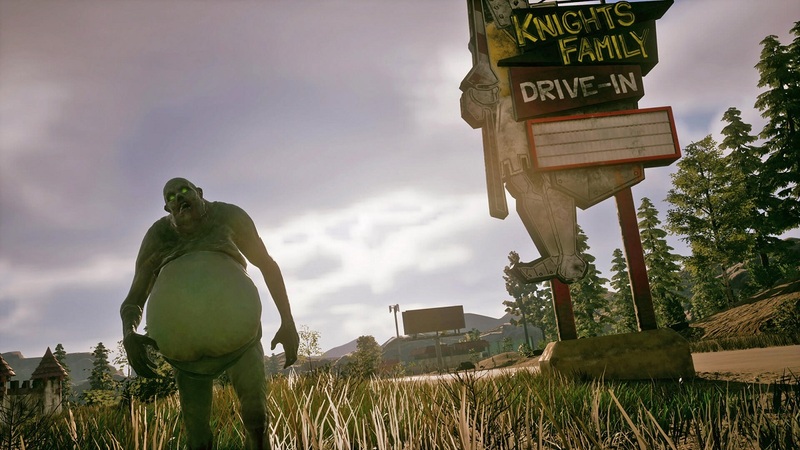 In State of Decay 2, the player is tasked with fighting different types of zombies in order to survive. Sometimes it is best to avoid conflict until it is absolutely necessary. as only an idiot would run head first into a hoard with only a melee weapon and a couple of bandages. When times get tough and you are forced into a fight, knowledge on how to overcome these foes is key to keeping yourself alive. To help you, we created this handy guide detailing each different zombie you might come across on your next adventure, as well as how to deal with them. Just your standard zombie. Hack away at it with any weapon or mow it down in a car. A SWAT Zombie is just a regular zombie wearing SWAT armor. They take a few more hits than a regular zombie and are protected from bullets. 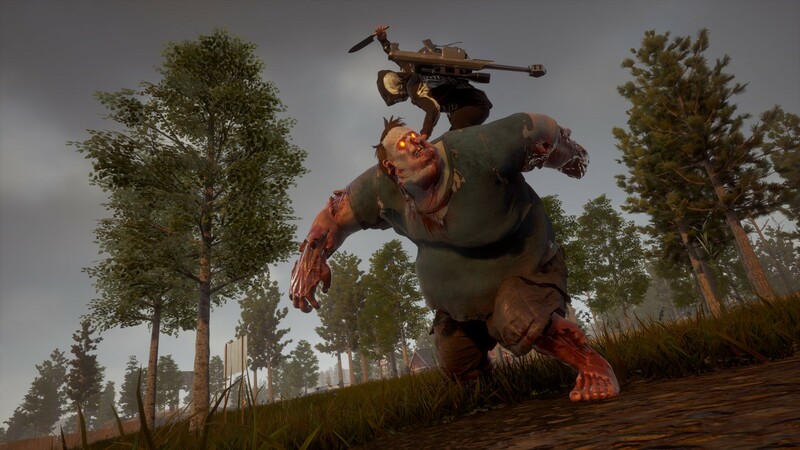 A new zombie-variant introduced in State of Decay 2. These zombies can be distinguished from their blood-red skin and glowing red eyes. 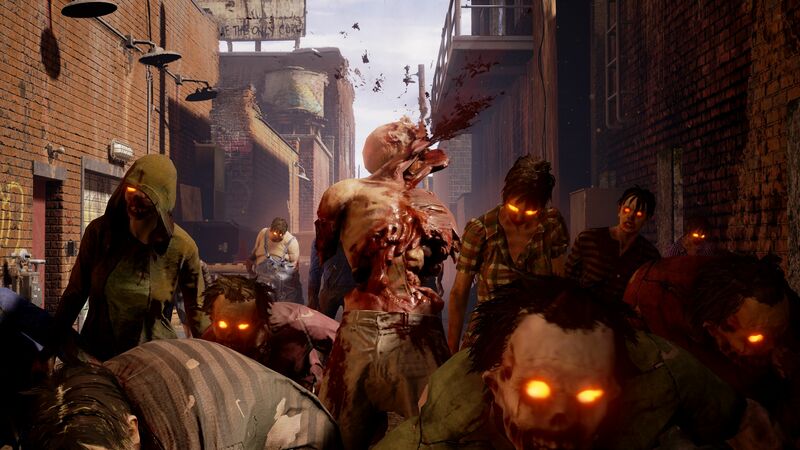 These zombies can cause players to contract the plague, a deadly virus that can kill over time. Fight from afar or use a car to mow down hoards of them. A fight up close can be the difference between life or death. If you do get infected, be sure to cure the character quickly with a blood plague cure from a base's infirmary. 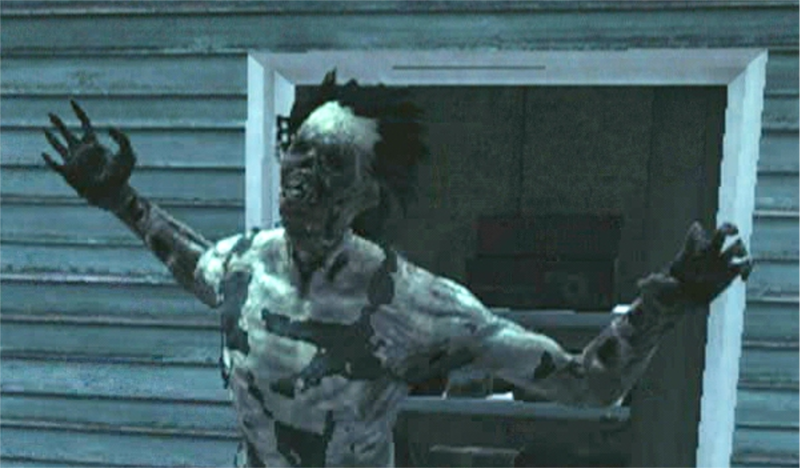 The screamer is a bald, pale, armless zombie that is harmless when on its own. Around other zombies, however, a screamer should be feared and taken out as quickly as possible. They can rally nearby zombies to their position and can cause a survivor to become paralyzed when up close. You should always try to lure a Screamer out of a building and ram it and the hoards of zombies with a nearby vehicle to guarantee your chances of survival. A Bloater can be distinguished by its sluggish nature and green glow. These large enemies will burst into a toxic cloud that can cause cars to be unusable and characters to gain additional health problems. Always attack these guys from afar and never fight one up close. You should never ram a Bloater with a car as it'll render that vehicle useless and leave your character defensceless within a large hoard. A Feral is an anlmalistic, lanky zombie that crawls around on all fours. This zombie is equipped with an insane amount of speed that allows it to keep up with vehicles with ease. You will never be able to hit one while in a car and the Feral is more than likely to jump on it, pulling you out of the car to leave you open to attacks. Even gunfire will be dodged, so only melee weapons seem to have a chance at dealing damage. Try hitting a feral three to four times and then dodge its lunges, repeating the action until the Feral is defeated. Take your time and have patience or else the Feral will be able to rip you to shreds. Juggernauts are the worst zombies to come across due to their irregular amount of health, damage, and tankiness. They are fat, hulking enemies that let out a large war-like roar when you get close to them. They have a habit of charging toward players and can even rip a player in half with an instant-kill attack, so keeping your distance and using ranged weapons are the only sure-fire ways of surviving against one. You should never try to fight one of these enemies. Even cars cannot mow them down and you will find yourself bouncing off them, dealing more damage to your own car then the juggernaut itself. However, if confrontation is inevitable, only head shots will be able to deal any significant damage to them.